Radon is a radioactive, colorless, odorless, dense, tasteless noble gas, occurring naturally in soil. How does radon get into homes? Radon gas forms naturally in the soil in the Midwest. When the gas is produced, it simply rises up through the ground and is released into the natural environment. However, when homes are built in or on soil emitting radon, instead of the gas rising up through dense soil, radon gas chooses the path of least resistance – normally through the floors or wall of the first level of the home – the basement. Depending on how the home was built and how ventilated the basement is, levels of radon can fluctuate. 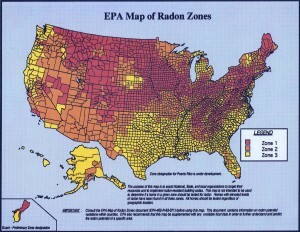 Why is radon dangerous to human beings? Radon has been classified as carcinogenic by the US EPA. Radon is the second leading cause of lung cancer – first being smoking. People who are exposed to both radon gas and smoke (first or second-hand) have a multipled risk of developing lung cancer. Most radon-induced lung cancers occur from low and medium dose exposures in people’s homes. Why are basements the most likely place to find radon gas? Why not in my second floor apartment? 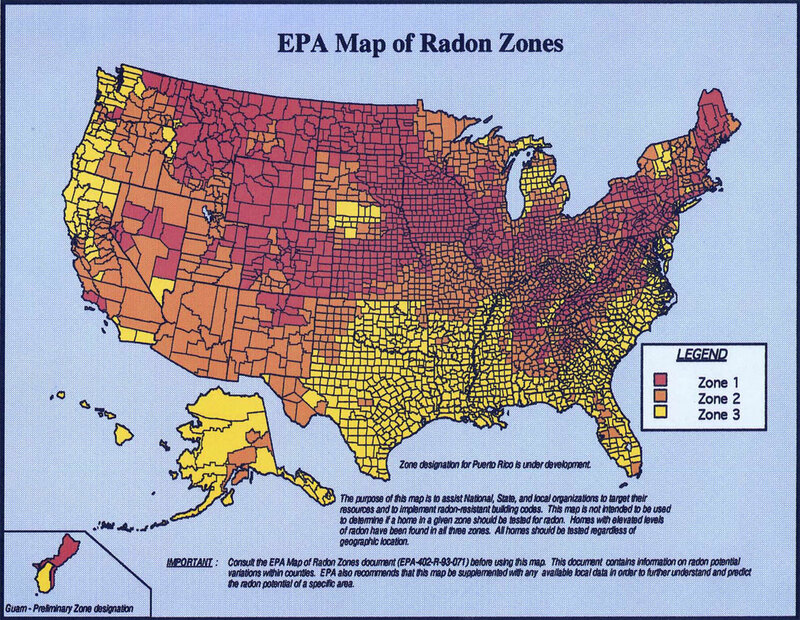 Radon gas comes from decay of radioactive substances that are ubiquitous in the Midwestern soil. Because basements and first floor units are most often the first point of contact between soil (the source of radon gas) and the building, this is where radon normally enters the building. Radon gas is also far more dense than “air.” Helium is lighter and less dense than air and therefore balloons filled with it fly away and up into the sky if not held down. Radon is heavier than air. For that reason, it sinks below lighter “air” to remain in our basements and lower level units. The more time someone spends in a unit/basement that has radon gas, the more exposure that person receives. How do I know if my family and I are being exposed to radon gas? If you live in the basement or first floor of a building, it is likely that you are being exposed to radon gas. The risk goes up if the building was poorly built, is poorly maintained and/or is poorly ventilated. There is no safe level of radon but minimizing exposure can reduce you and your family’s risk of lung cancer. If you live in a second floor unit or higher, it is unlikely that you and your family are being exposed to significant levels of radon in your home. The only way to know for sure is to test your living space(s). Is there a test for radon? Yes. Tenants, landlords, and homeowners have an easy and affordable option to test the level of radon in their home. Air Chek Inc. has sold over 4,000,000 radon tests worldwide. The Illinois Department of Public Health referrals for the test kit get the customer a major discount, which normally costs $14.95. 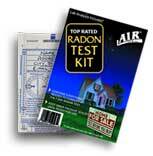 Those interested in purchasing the radon test can access the discount by phone, online, or through the mail. With the discount, each kit is $6.95. Call 800.247.2435 and ask for the Illinois discount or go online to il.radon.com for online or mailing instructions. Each test kit ordered includes the testing kit itself, testing instructions, shipping to and back, cost of lab work and reporting of results to you. Please, consider supporting us so that we can continue to serve our tenant community. Get Ready for Bowl-a-thon 2018 this August! MTO does not sell, rent or otherwise share it's email list with any third parties. Please consider donating, becoming a member, or becoming a part of the MTO team.